President and Chief Lending Officer Steven Wise has always had an affinity for money management, investments, and real estate and feels banking was a natural career choice. He holds a graduate degree in Banking from the Cox School of Business at Southern Methodist University. A Texas A&M undergraduate alumnus, Wise holds a Bachelor of Science degree in Agricultural Economics as well. Now in the banking business for over 2 decades, he’s been at CNB for 14 years. 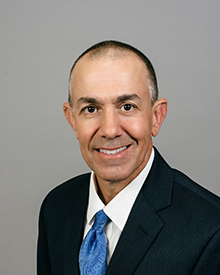 His impressive professional experience includes serving as President of two banks in Fort Worth, an Executive Team member with 3 previous banks, a Lending Team Leader and a CNB Regional Credit Manager. Wise is an active community member, volunteering with many local civic groups and serving as vice president of the local groundwater conservation district. He has also served as a past president of several chambers and scholarship committees.